Heavy weight satin material is great for extended use and full color applications. Continuous imprint available with full color on both sides. 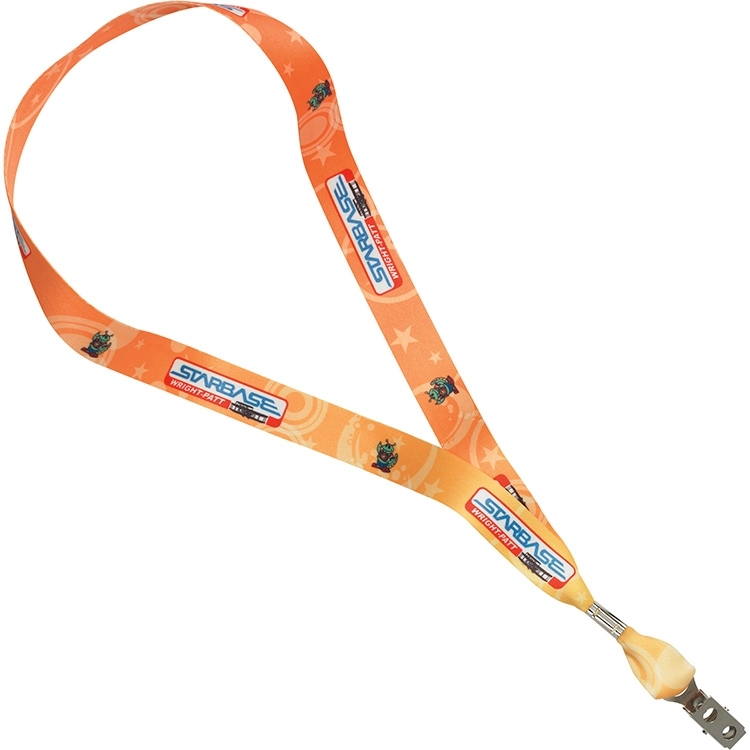 Any color lanyard available as long as PMS color is provided to us. 24 Hour Rush service at no additional charge. - Create added value by including individual names or consecutive numbers. - Adds 3 to 5 working days. - Option A: located at the back of the neck. - Option B: located on the side of the strap. Price includes full color, both sides imprint. Lead Time: 3 working days without paper proof, 5 working days with paper proof. 24 Hour Rush available without paper proof at no additional charge. Complete order and usable art must be received by 11:00 a.m. CST and marked 24 Hour Rush. Set-up Charge: $56.00 (G). Free set-up on orders over 500 pieces. Repeat Orders: FREE set-up for same imprint on both sides; $20.00 (G) for different imprint on second side.